The differences between the two parties started right after the Oli government revoked major decisions taken by the then Sher Bahadur Deuba government ahead of crucial parliamentary elections last year. 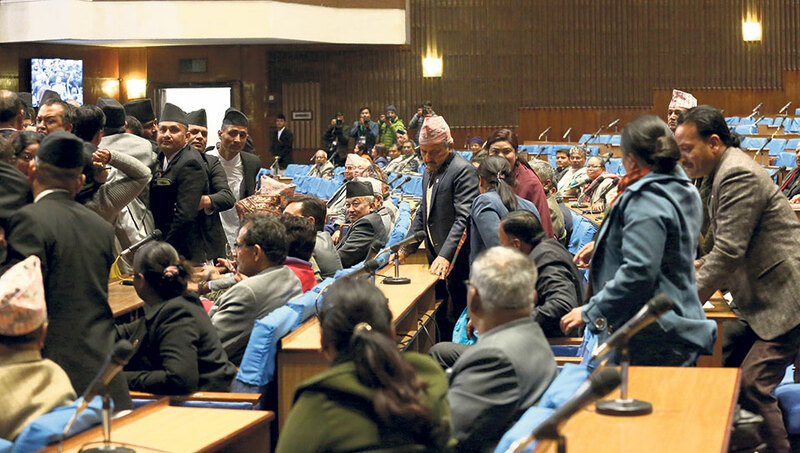 Although the new government led by KP Oli justified its move saying those were decisions taken by a caretaker government, the NC was apparently miffed. Another major issue that widened differences between NCP and the NC was the appointment of the chief justice. Party insiders say NC construes the move of the NCP-led government to reject Deepak Raj Joshee – the natural contender for chief justice – through the Parliamentary Hearings Committee (PHC) without any investigation into allegations made against him and its endorsement of an equally controversial Cholendra SJB Rana instead as a conspiracy to render the judiciary a shadow of the government. Earlier, then chief justice Gopal Parajuli was also unceremoniously relieved of his post, alleging that he had presented different dates for his birth on different occasions. Concerned by these moves, top NC leaders have been alleging publicly that the government was bent on ‘capturing’ the judiciary and other state organs in a deliberate scheme to impose “authoritarianism” in the country. Most recently, there was a strong feeling within the NC that the government was bypassing the main opposition party in every major decision including in appointments to constitutional bodies. For instance, the government appointed the heads of five various constitutional bodies without any participation of the main opposition party in the Constitutional Council meetings for the purpose. Earlier, the government in a cabinet decision decided to conspicuously leave out two hospitals named after past NC leaders—GP Koirala National Respiratory Treatment Center (Tanahu) and Susheel Koirala Cancer Hospital (Banke)—, while endorsing a proposal of the Health Ministry to run nine other hospitals under the federal government. With all these issues already widening the distance between the two major parties, the decision to endorse the medical education bill in the teeth of opposition in parliament seems certain to take mutual ill will to a new low. “NC will give its response from the streets as well. The government will soon know its reaction and fallout. It will be costly for both the government and the speaker,” NC youth leader Gagan Thapa told media persons after the fracas in parliament. Thapa minced no words in saying the government had tried to bypass the main opposition party within parliament and without. “Those who are mocking the NC will see history repeat itself,” he said in a veiled threat to the ruling party. In fact, NC President Deuba has been urging party cadres since the last few months to be ready to take to the streets against the authoritarian moves of the government. “A Central Working Committee meeting scheduled for Sunday will take a decision about the nature of its protests. And it is not just the NC. There is growing dissatisfaction with the government over a number of issues even at the level of the citizenry,” said NC Spokesperson Bishwa Prakash Sharma. What decisions NC will take to respond to the government’s “bullying” tactics are yet to be seen. 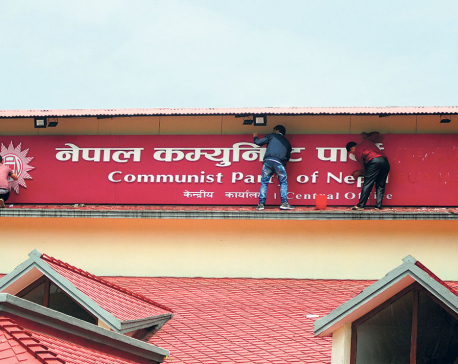 But it seems clear the NC will try to cash in on mounting public frustration with the government on a number of issues and the eroding of its relations with major international powers, as it will step up its anti-government activities to thwart what it calls “authoritarian ambitions” of the ruling parties.